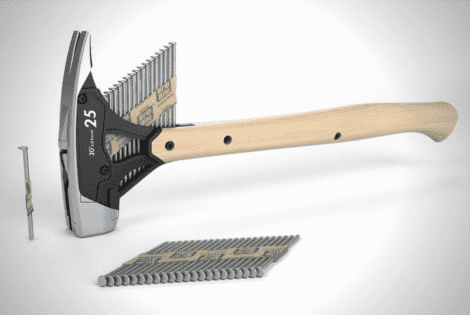 The AutoAdvance Hammer is an economical take on the nail gun, but it’s probably more fitting to call it a serviceable alternative to the tool. Design-wise, it’s less bulky and rugged-looking than your everyday nail gun, and much more portable, too. But what truly sets it apart is the fact that it doesn’t require electricity to work.